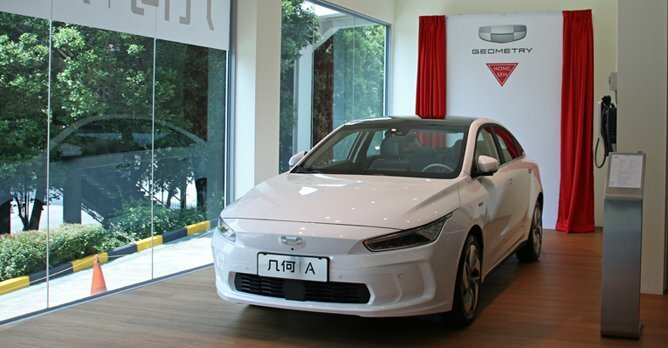 Hong Seh Motors signed an MOU with Geometry, a brand under the Geely Holding Group, to bring in its cutting-edge all-electric cars. Hong Seh Motors signed a Memorandum of Understanding (MOU) with Geometry, a newly created brand under the Geely Holding Group that focuses on new energy, on 11 April 2019. A global launch of Geometry's first all-electric car, the Geometry A, was also held on the same day at the Marina Bay Sands Expo and Convention Centre. The Long Range Version of the Geometry A features an impressive range of 500km, along with a slew of safety features Hong Seh Motors is the former authorised distributor for Ferrari and Maserati here. They are currently a specialist in boutique automobiles such as luxury and performance cars. Hong Seh Motors believes that going electric is the future of transportation, "The automotive industry has evolved so much from the time we had first entered the business. From combustion engine to hybrid and now electric, the world is definitely moving towards a cleaner and greener future", said Mr. Edward Tan, Executive Director of Hong Seh Motors. The partnership appoints Hong Seh to oversee the distribution of Geometry's cars in the South East Asia, Australia and New Zealand. Geometry is the result of Geely Holding Group's Blue Geely initiative that was announced back in 2015. It was conceived with the aim to become a market leader in new energy, lightweight material technologies and connected systems. The Geometry A will likely reach our shores in time for the 2020 Singapore Motor Show The Geometry A is an exciting first foray into the all-electric car market by Geely Group Holdings. It is a technologically advanced car that is designed meticulously. It has a sleek and minimalistic design that incorporates hidden door handles, which results in an ultra-low drag coefficient figure. The Geometry A also offers many safety features such as Adaptive Cruise Control, Automatic Emergency Brake with Pedestrian Recognition, Lane Keep Assist, as well as Front and Rear Collision Warning. Hong Seh plans to bring in both variants of the Geometry A, the Standard Range Version offers up to 410km in New European Driving Cycle (NEDC) tests and the Long Range Version offers up to 500km in NEDC range figures. 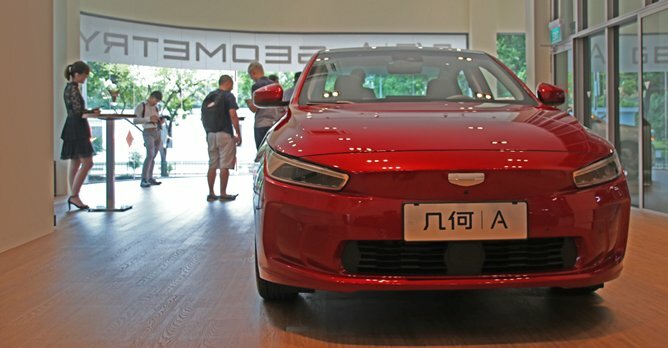 With excellent range and features, the Geometry A is expected to be a competitive electric car offering in the market. While the local pricing is unavailable as yet, its competitive pricing of 210,000 RMB ($42,381) for the China market is highly promising. Geometry A will likely reach our shores early next year, in the first quarter of 2020. Keep your eyes peeled for a highly possible Motor Show debut!